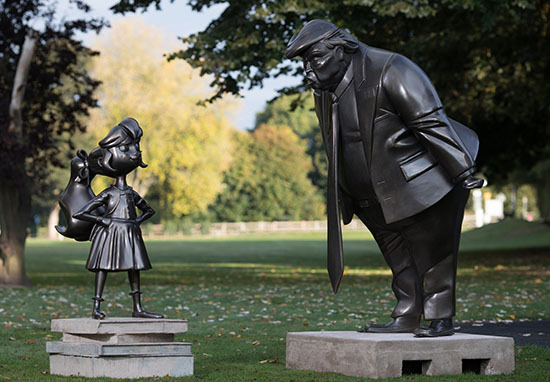 A statue of Roald Dahl’s famous character Matilda standing up to President Donald Trump has been unveiled to mark the 30th anniversary of the beloved children’s book. The striking effigy was sculpted after President Trump was revealed to be the person Matilda would most likely to be standing up to if she was around in 2018. 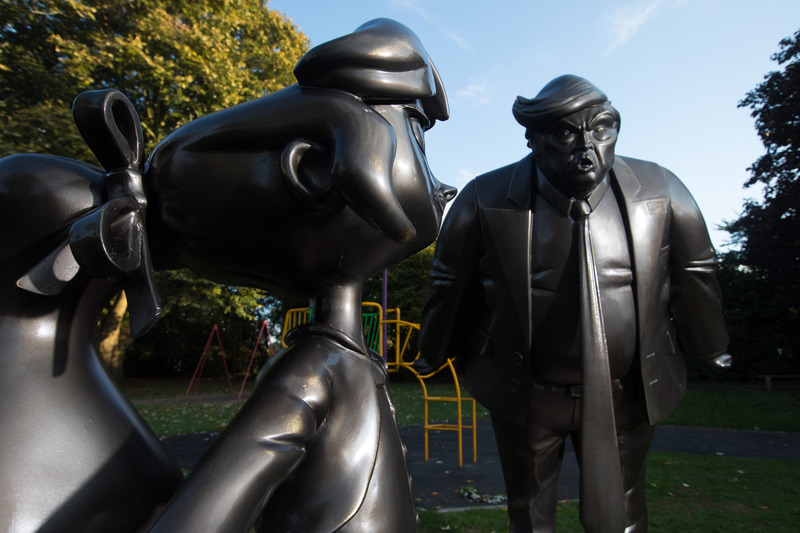 The installations celebrating the landmark anniversary can be seen for a few weeks in Great Missenden, Buckinghamshire, which was Roald Dahl’s home for 36 years. Matilda demonstrates that it’s possible for anyone, no matter how small and powerless they feel, to defeat the Turnchbulls in their own lives – a message that feels even more relevant today than it did 30 years ago. What’s more, asking the public to reimagine Matilda 30 years on and finding that she could be a UN ambassador, knighted by the Queen and still using her powers of telekinesis shows just how strongly Roald Dahl’s tiny heroine continues to resonate in our hearts and minds. As well as revealing who Matilda would be standing up to in 2018, the study found that over half of the British public think Matilda would still have her powers of telekinesis, would have travelled the world and been knighted by the Queen. According to the British public, she’d also have an illustrious circle too – including friends like actor and activist, Emma Watson and Duchess of Sussex and humanitarian, Meghan Markle. In contrast, over a quarter of the the general public imagine Miss Trunchbull would now be a prison warden, with 17 per cent saying she would be a drill sergeant. Bruce Bogtrotter – the boy who devoured a whole cake as instructed by Miss Trunchbull – was voted likely to become a Great British Bake Off contestant. Matilda has always been my favourite Road Dahl story. Its message of courage and persistence is timeless, and it’s one that my children have enjoyed as much as me. It’s not surprising to hear that Donald Trump has been voted the most likely successor to Miss Trunchbull – many clearly see in him some similar traits to the fictional headmistress. In fact, around 41 per cent of Americans view Trump as the worst president ever. According to Newsweek, Trump was way out ahead in the poll, with Obama coming in second at 28 per cent, and George W. Bush gaining just five per cent of the vote. Interestingly, Obama also came in second for best president ever, with 16 per cent, just one per cent behind Abraham Lincoln, who nabbed the title with 17 per cent of votes.